Come see the magic behind the machines! 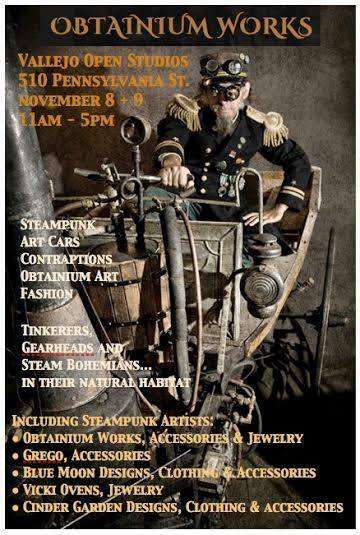 The Obtainium Works Studio is open to the public, this Saturday November 8th and Sunday November 9th, 11:00am-5:00pm, as part of Vallejo's Open Studios program. The event is free.